Northwest State Community College hosted its annual Job and Career Fair last Tuesday. An estimated 500-plus job seekers, including area high school seniors, met with over 100 area employers to discuss seasonal, temporary, and full-time openings. 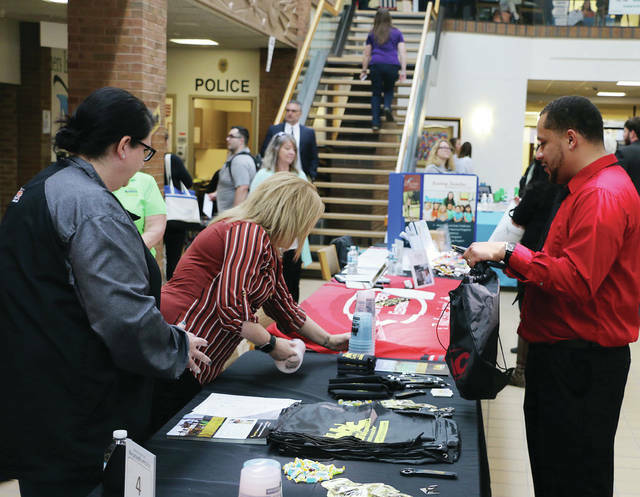 https://www.fcnews.org/wp-content/uploads/sites/45/2019/04/web1_Job-Fair.jpgNorthwest State Community College hosted its annual Job and Career Fair last Tuesday. An estimated 500-plus job seekers, including area high school seniors, met with over 100 area employers to discuss seasonal, temporary, and full-time openings.